In October 2016 I had the great honour of presenting a lecture to students from the Temasek Tourism Academy, Temasek Polytechnic, Singapore. The students were on a study trip to London, and I was invited to share my experiences about how I started in the events industry, and about how I established my MICE blog in 2011 while studying the BA in International Management course at Regent’s University. As a former student, I recognise the value of formal education in this sector, and I am always willing to share my experience with aspiring fellow students—the future generation of industry professionals. As a result of this speaking engagement I met John Low, a senior lecturer at Tamasek Tourism Academy. We still keep in touch, exchanging knowledge and experiences. I admire his passion and initiative, offering his students the opportunity to learn about the global MICE industry beyond Singapore. International experience is so highly valued by future employers. The industry continues to hotly debate whether a formal events education is needed, or does industry experience alone, with a “can-do” attitude, provide all we need? There is one aspect missing in this debate—there is more to it than getting a degree and simply setting off to work. Instead, it should be considered a life-long learning opportunity, utilising appropriate tools and resources for both personal and career development, maintaining currency in the competitive business environment. But how can this be achieved? In this interview, I asked John how we can up-skill and re-profile ourselves, to be relevant for the new economy. We discussed trends in global education, and how to make learning and education a life-long goal. This interview provides some excellent insights that can be applied, no matter what your career stage, to help you invest in yourself and advance your career. Let’s start from the beginning. Can you tell us about your career journey? Throughout my career, I have been blessed with good employers and inspiring mentors. After completing my diploma in computer studies, I began working as a computer programmer with a renowned private management institution. Because as I was very young my colleagues and bosses at that institute constantly encouraged me to continue with my studies, and pursue my dreams. I hesitated, because I could not afford the school fees. However, with much determination and encouragement, I worked my way out after two years, taking a higher salaried position at a Singapore-owned multinational corporation (MNC), after acquiring as much knowledge and skills as possible. Working at this MNC, I was given opportunities to attend short courses, conferences, and workshops. This enabled me to deepen my knowledge and extend my technical skills, which helped to improve my performance. From the position of IT executive, I progressed to MIS manager, overseeing computer operations of a division of companies in South East Asia. Eventually, I began travelling yearly to audit regional office computer operations and systems. During the 1990s, the Singapore economy was progressing very well, and having a bachelor’s degree would open doors of opportunity for me to fulfil my dream. After much saving, and a bit of courage, I decided to further my studies. I graduated with a dual qualification—a bachelor’s degree in computer science and management, and a professional diploma in management. My career aspirations continued to grow towards taking on higher positions. By chance, I found myself working with the National Travel Agents Association Singapore (NATAS) as an IT manager, reporting directly to the Chief Executive Officer (CEO). After just two weeks in my job, I was sent to Osaka, Japan, to attend the World Tourism Conference as one of the Singapore delegates. During this trip, I learned so much about the travel and tourism industry. It offered a golden opportunity for me to travel the world, experiencing different cultures and traditions. At that point, I realised that my dream was to be a professional in the travel and tourism industry. During the eleven years that I worked for this organisation, my CEO was very supportive and encouraging, providing many opportunities. My portfolio grew from managing computer operations, to organising events for the association members, delivering travel agent sector transformation programmes (with the objective of increasing competitiveness and enhancing operational efficiency), developing service excellence, and creating value for the sector through strategic development of manpower and adoption of technologies. I continued to upgrade my knowledge and skills by attending short courses and workshops, and by participating in overseas familiarisation tours. Eventually, I was promoted to the role of director for industry development, which presented the opportunity of working with national and international industry stakeholders (in both private and public organisations), and being involved in board meetings. The trade association (NATAS) is central to Singapore’s largest outbound travel fair, and is a founder of the industry’s Tourism Management Institute (TMIS) in Singapore. That was where I began my involvement in event management education. By chance, I also received a scholarship from the Pacific Asia Travel Association (PATA), to attend a prestigious leadership programme at the University of Hawaii. There I obtained an Advanced Certificate in Training and Assessment, as well as certification as an industry trainer during my time as an adjunct lecturer. Having fulfilled my dreams, I felt compelled to contribute to the society that had so helped me. I joined a consultancy company for about a year, and subsequently worked as a freelance business advisor, helping small and medium enterprises to grow their businesses. 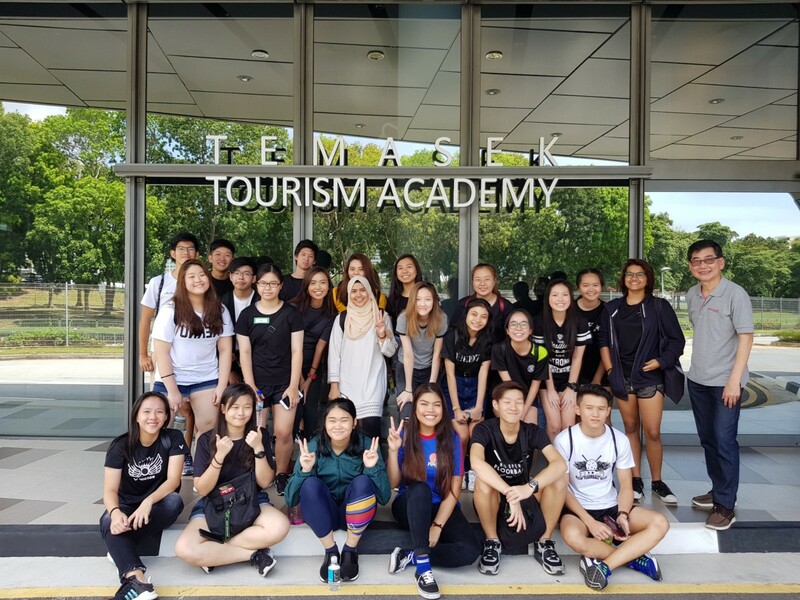 Consequently, my position as a full-time tourism lecturer at the Temasek Polytechnic enables me to inspire and prepare students embarking on their careers in the travel and tourism industry. As part of my work, I organise and lead students on their overseas study trips. There is a heated debate within the events industry about whether it is possible to “break into events” without having a degree; instead you only need hard work, have motivation, and being a self-starter. What is your take on that? Why do you think having a degree is necessary to be successful in the MICE sector? I believe that anyone with passion, a willingness to learn, and team spirit would excel in the MICE sector, even without a degree. However, at some point in a career journey, a person might wish for upward mobility on the corporate ladder, and better salary. This is where obtaining a relevant degree will help to achieve that senior-level role. Furthermore, a degree provides broad knowledge, research skills, and the mental framework for higher-order thinking. However, whilst having a degree might help to climb the corporate ladder, it is excellent attitude and resilience that will ultimately enable success. You talked about the education sector in Singapore, and that you are up-skilling and re-profiling yourself to be relevant for the new economy. How do you do that? Be a life-long learner. Be aware of the trends in the industry, determine your goals, and identify the gaps. Go for skills upgrading. I have completed a blended learning course in MICE management. I currently hold accreditation as an associate adult educator from the Institute of Adult Learning. I have registered to attend a 15-month course for certification in technology-enabled learning, and Enterprise Singapore recently recognised me as a SkillsFuture SME mentor. This appointment will help me to keep abreast of developments in the industry, through project engagement with industry partners. All this upgrading enables me to adopt a technology-enabled teaching and learning approach, for both the pre-employment training (PET) and continuous education & training (CET) curriculums. Education doesn’t have to stop the moment we leave university. What advice can you give to someone who wants to invest in continuing education and advanced training to progress in their career? With technology disruption and globalisation, the skillsets required by businesses have changed, and there are many courses available. Firstly, be aware of your own passion and goals, as well as the industry trends. Secondly, if time is a constraint, then access online and/or micro-learning courses. Thirdly, acquire digital skills, or obtain professional certification in your industry domain. What trends are you seeing in global education, both formal and non-formal? There is a move towards lifelong learning and continuous education. Educational systems need to adopt ‘just-in-time’ and self-directed learning, customising to the needs of the learner. There is an increase in the use of technology, both inside and outside the classroom. Globalisation has created a need to instil global awareness in all learners. Life skills are essential, such as critical thinking, problem-solving, innovation and creativity, and leadership. Local and overseas student internship programmes, as well as overseas study trips, play vital roles in the non-formal education curriculum. You are an SME mentor and business advisor at Enterprise Singapore, a government agency that supports the development and internalisation of local businesses. Can you tell me more about that role, and from your work so far, can you share your advice on how companies can stay competitive in today’s economy? My role as a mentor revolves around Learning and Development (L&D). I will diagnose gaps in L&D and share-back with companies. This diagnosis includes HR maturity diagnostic assessments, reviewing and enhancing the internship training plans for interns, and on-job-training blueprints for fresh hires to achieve positive learning outcomes. In addition, I monitor and coach supervisors/managers delivery of training, and provide feedback on areas for improvement. For companies to stay competitive in today’s economy (especially considering globalisation and digitalisation) there is a requirement to continue to innovate, and to differentiate and support capability development. Do you think that social media is a detractor for young students, or can it enhance the learning experience (and why)? I prefer to focus on the positive aspects, because students tend to mature in the process. Most importantly, we will teach them the value of self-discipline. These students have grown up in the digital age, so we can leverage on platforms they like, to support their learning. In fact, we have incorporated the use of social media for student assignments. Students use blogging for reflection, Youtube for flipped-classroom activities, and Skype for project consultations. I believe this enhances their learning experience, because they are so familiar with these media and it captivates their attention. If you could change something in the education sector, what would that be? Reducing the amount of administrative and project work. I do not have a specific favourite business book, but I am inspired and learned a lot from these two best-selling motivational books – Fish for life and Who moved my cheese?